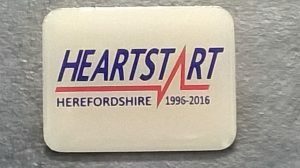 At the beginning of January 2016 Herefordshire Heartstart reached 20 years of teaching people how to save a life. 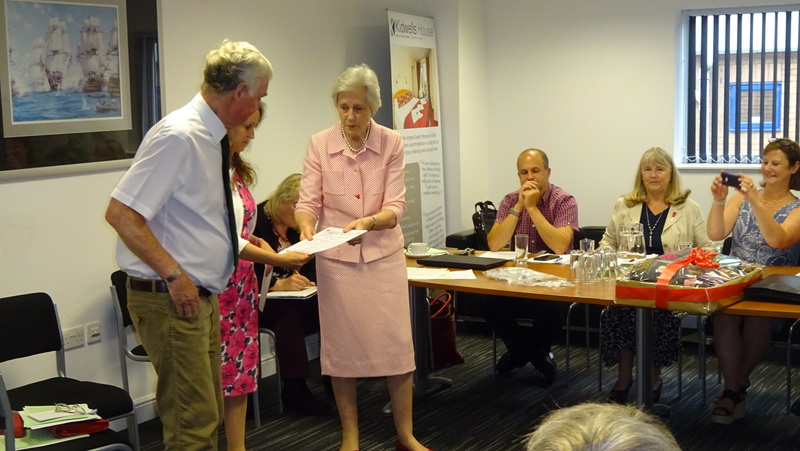 On the 13th June the charity held their AGM and combined this with a 20 year celebration, to mark the occasion. 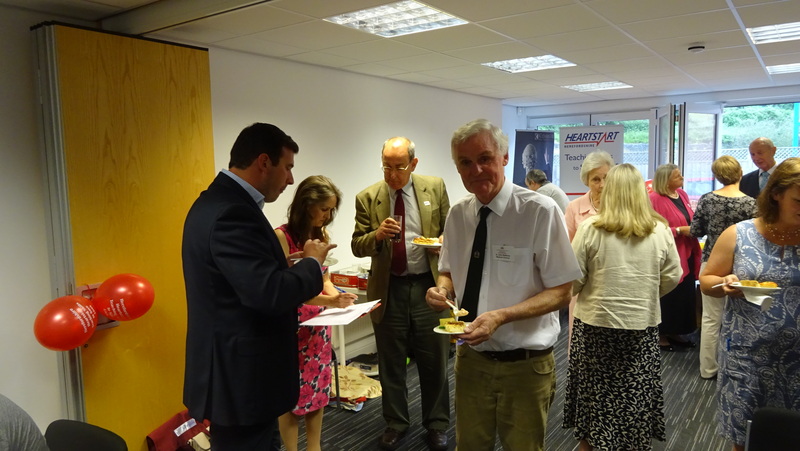 Present volunteers, including Trustees, Committee members, instructors and course helpers were invited, along with a few retired Trustees. The evening was made all the more memorable with the appearance of a special guest The Countess of Darnley JP. 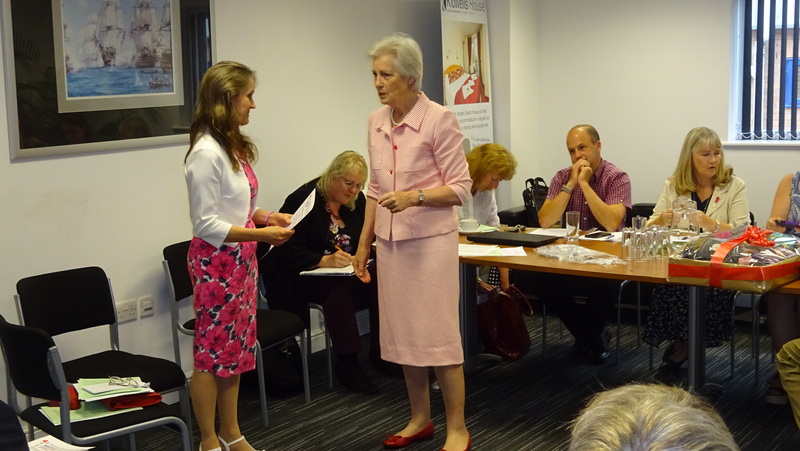 Her Majesty’s Lord-Lieutenant of Herefordshire, who became the Charity’s Patron in 2015. It was a huge honour and a pleasure to have Lady Darnley at the celebration, her presence and kind words were greatly appreciated by all. A large hamper was presented to longstanding Trustee Dr John Ballance, Chairman/Medical Director, who was instrumental in setting up the charity and has been with Herefordshire Heartstart since it began in 1996. Dr Ballance will shortly be retiring from these roles and the charity are looking for a new Chairman. 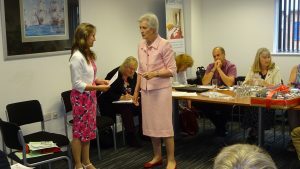 The charity are delighted that Dr Ballance has agreed to stay on as a Trustee and has now been given the title of President. A similar Heartstart group had been started four years earlier by Dr Ballance, together with the late Trustee and retired paramedic Tony Powell, along with members of the ambulance service/health authority, including retired Trustee Julian Reeves. Thanks were given to Dr Ballance for his valuable work for the charity. 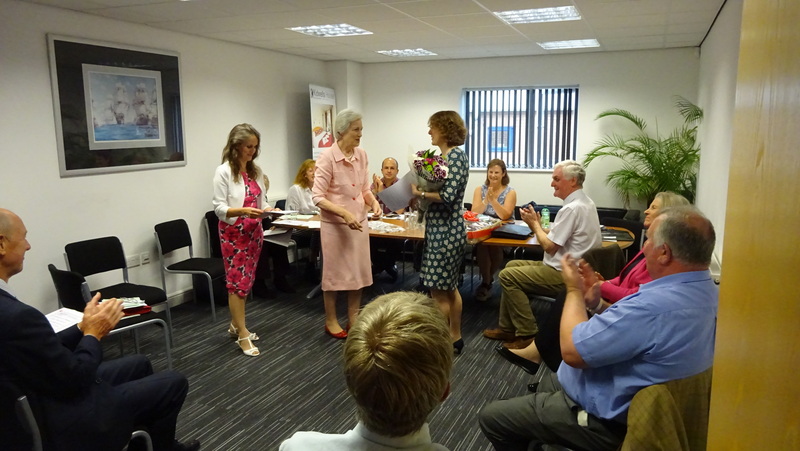 A bouquet of flowers was then presented to Jayne Jenkins, Community Training Supervisor, who has the important role of training the volunteers as Instructors. Jayne will now take on the responsibility of Medical Director. 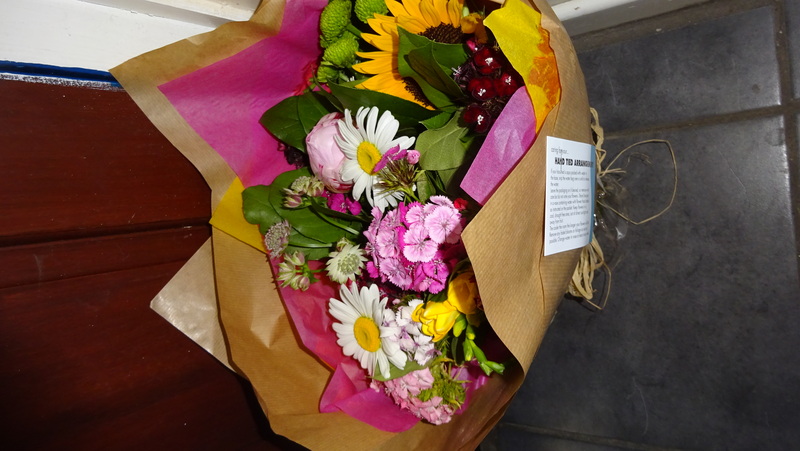 A hamper was also presented to Dave Landey as a thank you for his good work as treasurer. Mr Landey has now decided to step down and hand over the role. A new treasurer is now urgently needed. A separate presentation was made to Lady Darnley of a beautiful bouquet of flowers, along with a certificate and commemorative badge for supporting the charity. All of the items given out were donated or sponsored by local businesses. 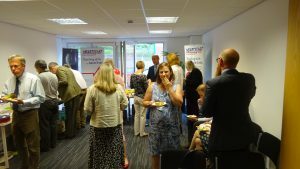 Following the AGM and presentations, a party followed for everyone attending with delicious food and drinks generously donated by local businesses, who had all been keen to support the charity. 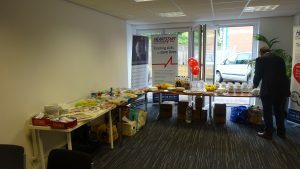 Herefordshire Heartstart would like to thank the following businesses for making the evening such a wonderful occasion. 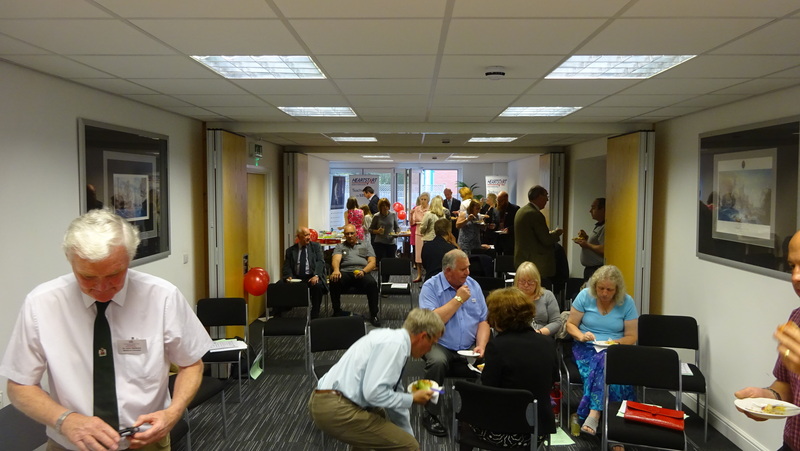 The celebration was greatly enjoyed by all. 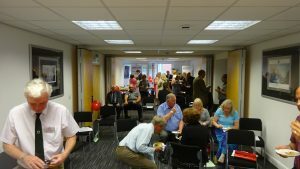 Thank you to Diane Rogers and all staff at Kidwells Law for the generous use of their beautiful premises, cups of tea and for all their help before and after the event. Their support helped to make it such a success. 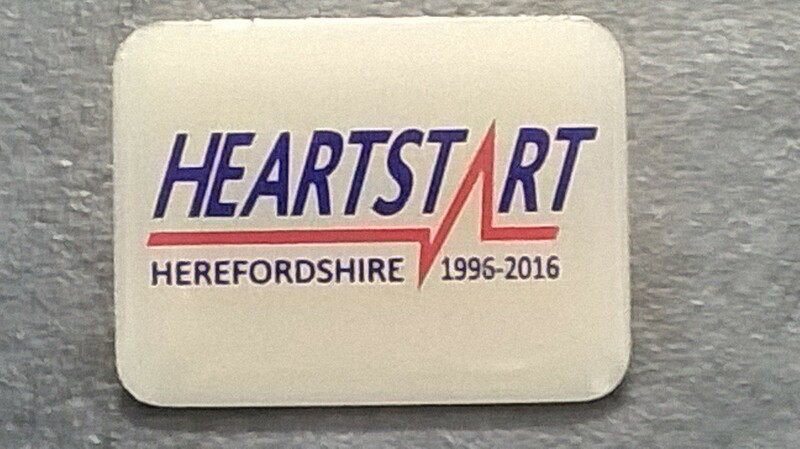 Thanks also to Maggie Taylor and Grahame Penny Owners of Whitney on Wye Toll Bridge, for generously sponsoring a gorgeous commemorative badge to celebrate 20 years of Herefordshire Heartstart. To the Co-op, College Road, Hereford for sponsoring a large selection of tasty food for the celebration. To the Co-op, Holme Lacy Road, Hereford for additional nibbles/cakes. Kidwells House for tasty cakes. Heineken/Bulmers (ciders for hampers/volunteer gifts), Mannings Juices (delicious apple juices), Pixley Berries (tasty blackcurrant cordials), the Hibiscus Room (bouquet), Morrisons Hereford (vouchers for gifts/hampers/additional food). Herefordshire Heartstart is a voluntary organisation, established in 1996, to teach the people of Herefordshire, Emergency Life Support (ELS) skills. These skills are the actions needed to help keep someone alive until professional help arrives. Kidwells Law Solicitors Limited, Kidwells House, 4 Coldnose Road, Rotherwas Industrial Estate, Hereford HR2 6JL – for providing the venue, tea and cake for this year’s meeting. Kidwells House, 5-13 Newtown Road, HEREFORD HR4 9LH – for providing cake for the celebration. Co-op, College Road, Hereford – for providing a wide selection of food for the celebration. Co-op, Holme Lacy Road, Hereford – for additional nibbles. Mannings Juices, Edwyn Ralph, Near Bromyard, Herefordshire – for providing tasty juice for refreshments. Morrisons, Hereford – for providing vouchers which were used to purchase items to make up hampers, flowers for thank you gifts, and additional food items. Pixley Berries, Ledbury – for providing delicious blackcurrant cordials for hampers/ refreshments. The Hibiscus Room – for providing a bouquet presented to Lady Darnley.